For the last few years, I’ve started the year with creating beautiful things to hang in our room. 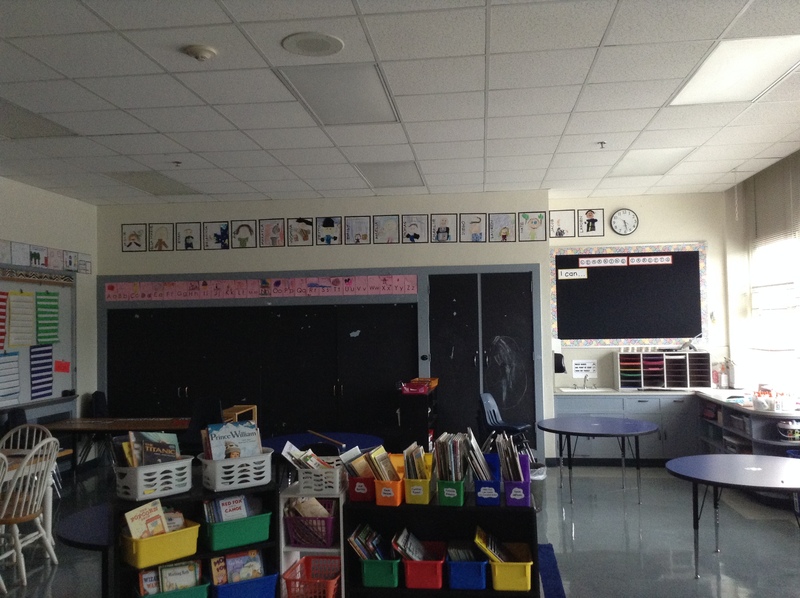 It’s so great to watch as our bare walls fill up with amazing creativity that spills out of our first grade minds! This project is both fun and meaningful as it’s based on helping kiddos see that while we are all different that’s an amazing thing, and that within those differences we can celebrate ways we are also the same. As with many things, we started our conversation with books. 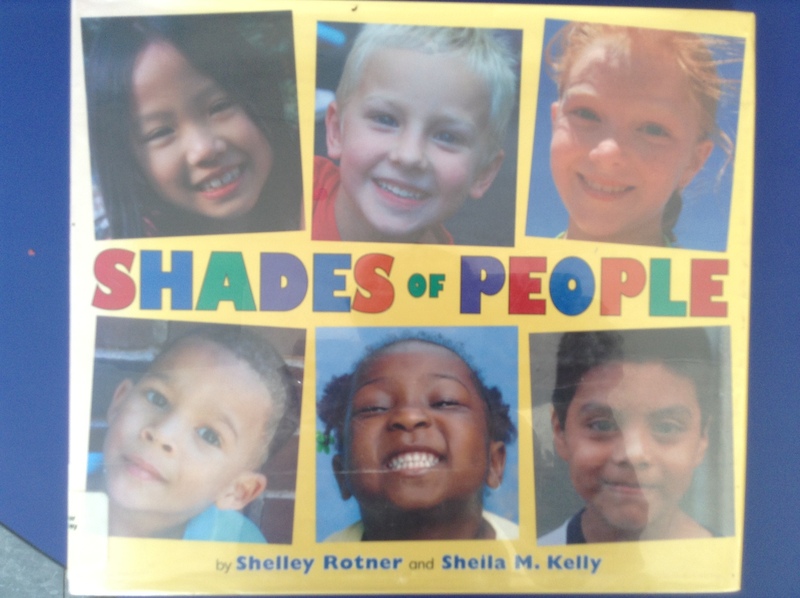 We read Shades of Black by Sandra Pinkney and Happy in Our Skin by Fran Manushkin together. We talked about how each of us looks different, has different talents to share and brings many different things to our classroom community. Also, we have many things that are the same because we’re all kids. We all want to be loved, to belong, to contribute, to learn. We wanted to create beautiful images of our unique and different selves to hang on the wall, and we did so with lots of different creative things in our room. We also borrowed a mirror from our friends in Ms. Turken’s room so we could see some of the close-up details of our faces. Now they hang along the top of our wall and we can see them smiling on us every day! We are definitely learning to celebrate the beautiful skin we live in, and appreciate how different we all are! Remember our FABULOUS portraits from last year? Well, we did it again. Partly because we had free wall space, partly because we took home the ones from 1st grade, partly because we look different than we did last year at this time, and mostly because it’s a way to reconnect our old community and connect for teh rifrst time with the new friends in Rm. 202. I really wanted us to paint our portraits, but because of a planning fail, I didn’t have those supplies ready for us when it was time to work. 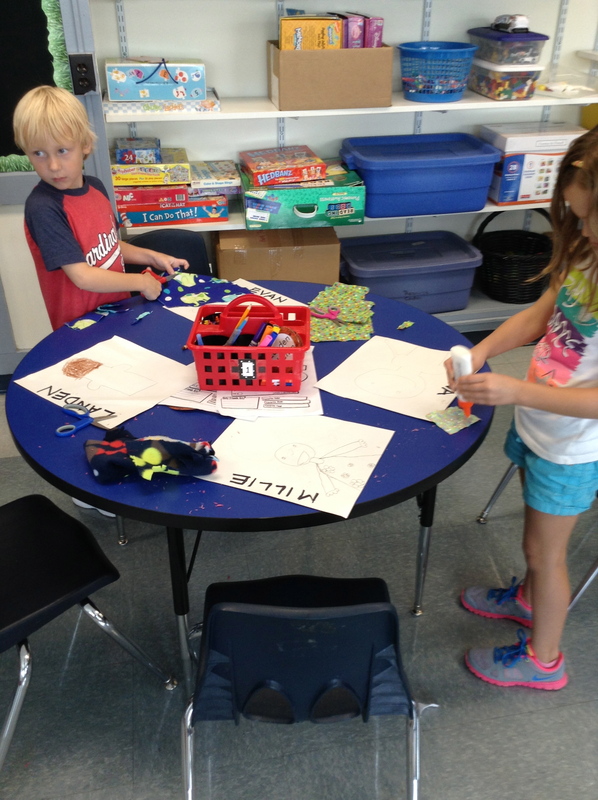 Instead, we used the same fabric, paper, and yarn that we used last year (plus really anything else that could be found in our room), as well as the many different colors of crayons and colored pencils we have to try to make our portraits match our beautiful selves. Last week we read the book The Skin You Live In, by Michael Taylor. It is written in the form of a poem, so it sounds good, but the point of the story is that our skin is something to celebrate and appreciate. The pictures are really great, and everyone loved reading it! 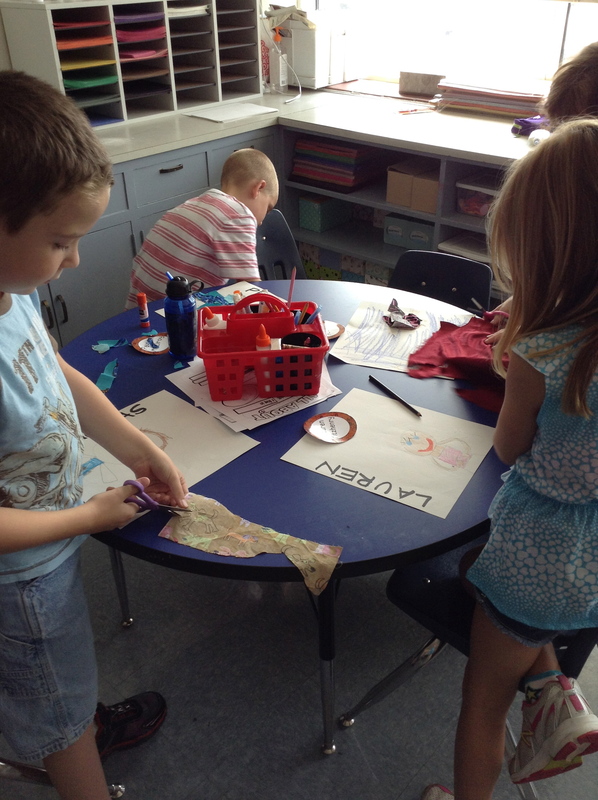 I was so impressed at how diligently everyone worked to make it both creative and authentic to themselves. Look! We got to practice our cutting skills with this project. 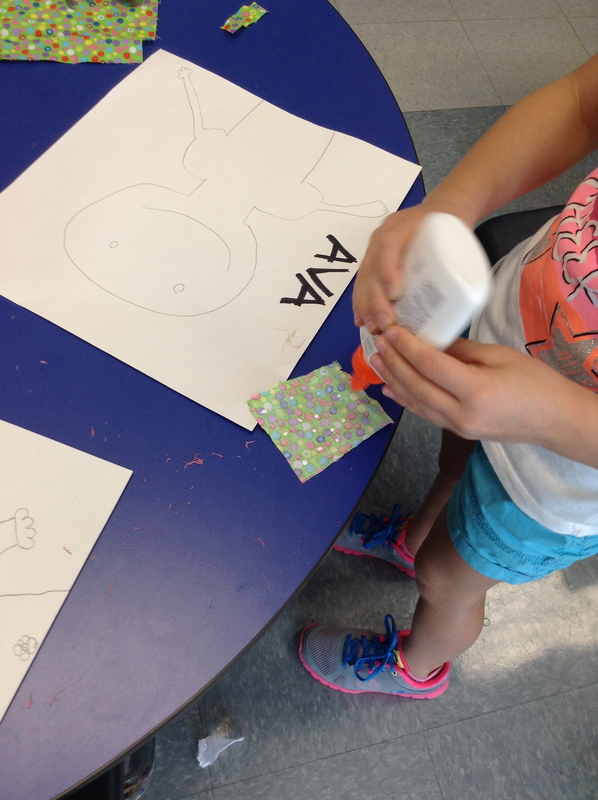 We also got to practice our gluing skills. 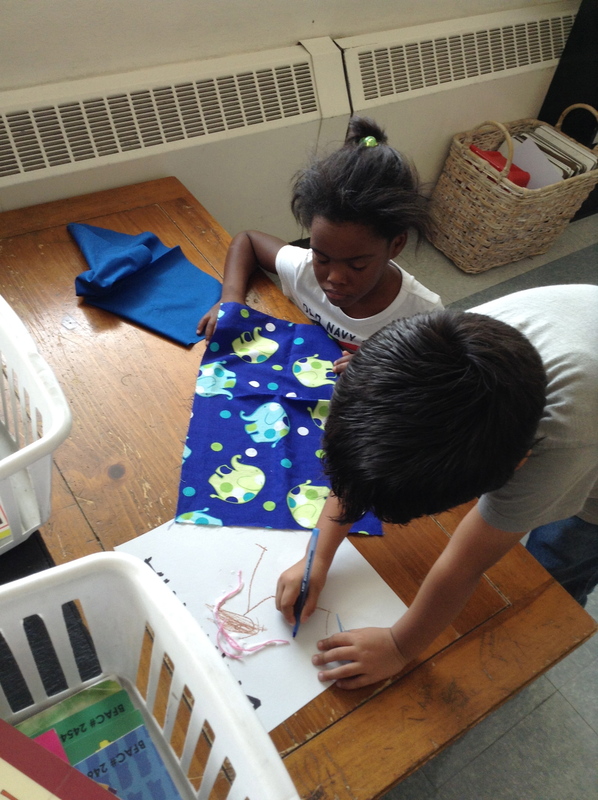 Here Diego is helping Briannia figure out how to make the cloth look like her clothes. He figured out how to solve the problem, and is showing her how to sketch the shape of her shirt before she cuts the fabric. I love how projects like this have opportunities to work both alone and with our classmates, sharing our knowledge and teaching each other. 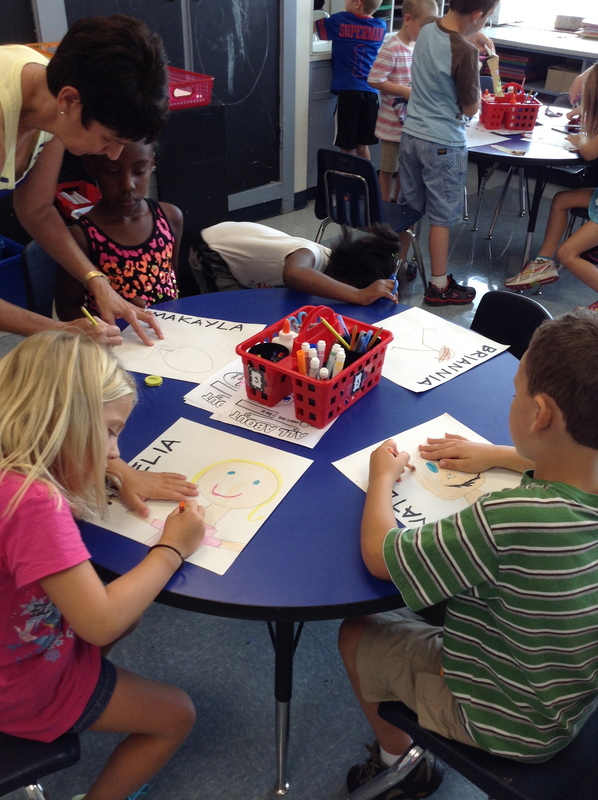 This picture exemplifies the phrase I love–everyone is a student and everyone is a teacher. I just had to take a picture of this part of our rug as we worked. 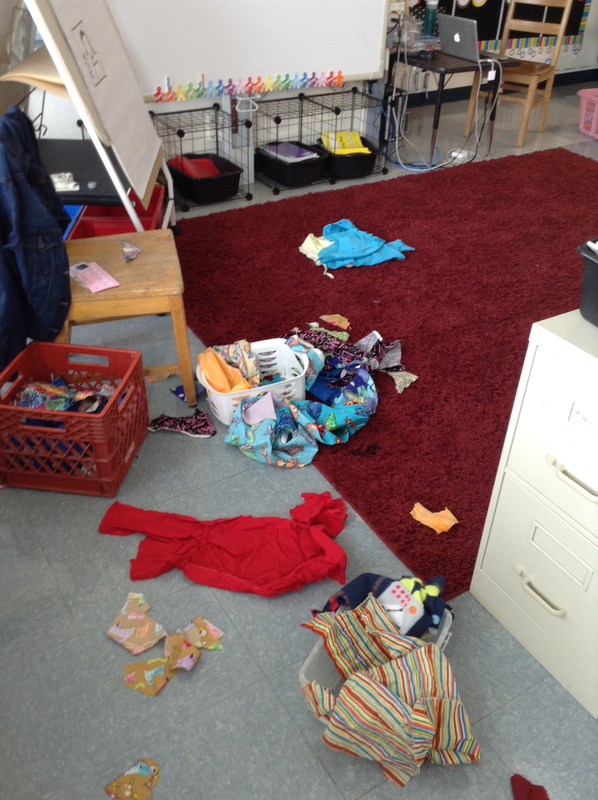 Learning is messy, friends! (Don’t worry–they know how to respect our environment and they picked it all up!). We had just the right spot to hang them so they can smile down on us all year! 🙂 There are a few friends who aren’t finished yet, and theirs will fill that hole by the clock when they’re done. There’s a title I haven’t gotten up there yet that I think will start in that spot on the left.